have ever been expecting news of you. you hold with me and the confidence I repose in you. 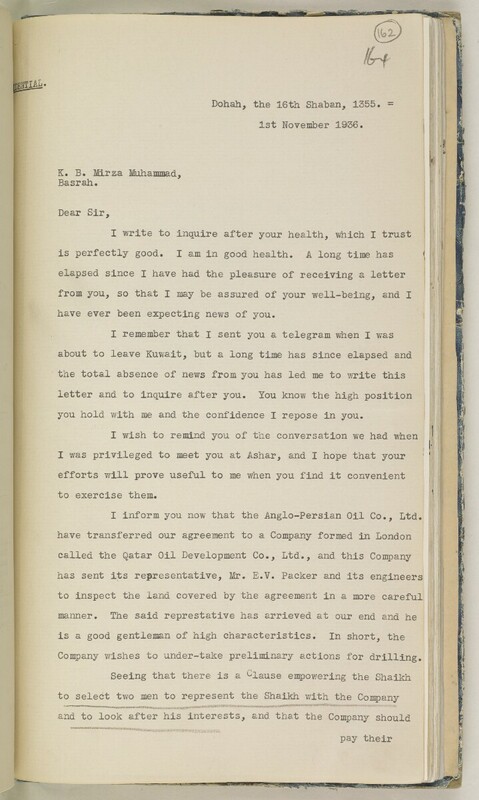 I inform you now that the Anglo-Persian Oil Co., Ltd.
Company wishes to under-take preliminary actions for drilling.